Family Trove: Alone Again, Naturally...? When I was very young I tended to anthropomorphize. Lots of children do that...right? I began thinking that everything had feelings when my big sister started school and I was left with no playmate at home. 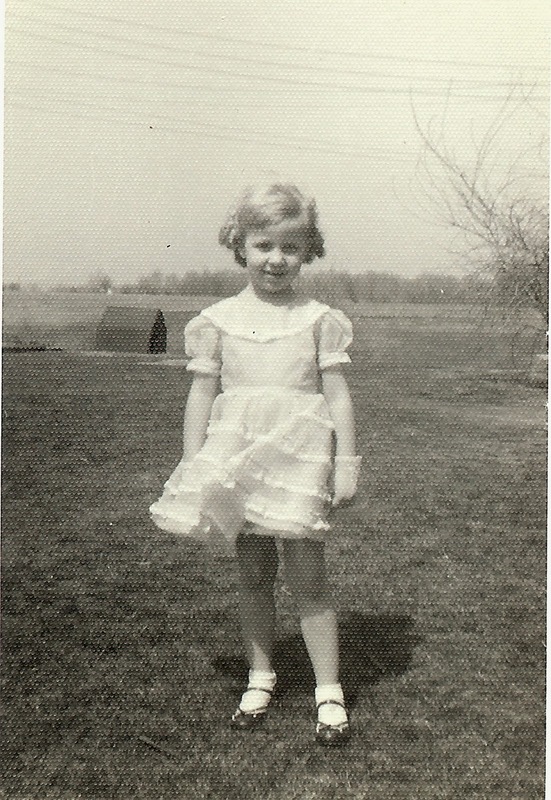 We lived in a farm house, too far for me to run next door to play with other children. I had lots of time to entertain myself by befriending the feral barn cats and talking with the spiders in my "spider garden." I did not have an imaginary friend because everything became my friend...the ants, bees, flowers, trees, even rocks. And because I was so lonely without my sister...I would feel sorry for anything that was by itself. and me together and couldn't find one at the farm house. taken in front of the farm house. See how they group with their friends! Oh! That poor lonely red one! When my sister, Linda, would step off the school bus I would be there to greet her. She would tell me of her adventures at school and then my favorite part...she would open her reading book and proceed to teach me to read. Yes, I had a really cool big sister! 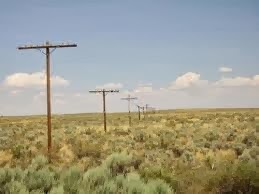 She told me not long ago that when we were in the backseat of the car, traveling past telephone poles, I told her I felt sorry for them because they had to hold their arms out...and they must get tired. As I got older I tried to wean myself from thinking everything had feelings...at least not voice it. I knew it was not real...but somewhere inside...there was... maybe...just a chance that the big granite boulder felt pain when I chipped pieces of mica from its back. And then there was a time when Linda and I visited my uncle in Denver. He sold campers and mobile homes. He let us play in this tiny camper....(I can't remember the name we gave it). One day when we arrived to play, we found that the camper had been sold. I burst into tears...and made my uncle swear that it went to a good home. 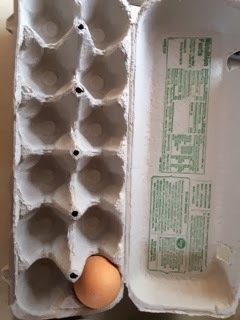 Of course, all of that was long ago... and I have outgrown this...I would never think of being concerned about a lone egg in a carton....well...maybe. Okay...I confess. 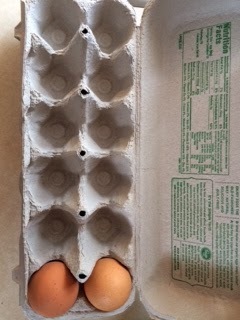 I felt so sorry for this lone egg in its carton that I picked an egg from a full carton and put it with the lone egg. I mean....how would you like to spend a cold dark night alone in a carton...wouldn't having a friend with you make it easier? Now he has a friend! he is still with friends. Love your post and the pictures. I admit that I never felt this way about single items. I also admit that if there was one piece of candy left I would eat it rather than let it by itself. Sounds like you have a really remarkable big sister. Oh, Jackie, you are so sweet. Your caring nature shines through the slice! The egg is so much happier :) This slice made me smile. Well, that sounds like a good excuse for you to eat a cinnamon roll! Your family stories are wonderful. Yes, I agree that your stories are super. I was the big sister going to school and always playing more school when I returned home. I can't say that I had feelings for everything when I was young but living in a big house with nature everywhere was such a wonderful way to grow up. A large oak tree in front of my house, deer and animals all around. It was a treasure hunt! What a fun story! I still do that sometimes. Mostly I feel bad for old things that I throw away--are they going to feel like I didn't appreciate them when they are in the trash bin? Because I did! I really, really did! 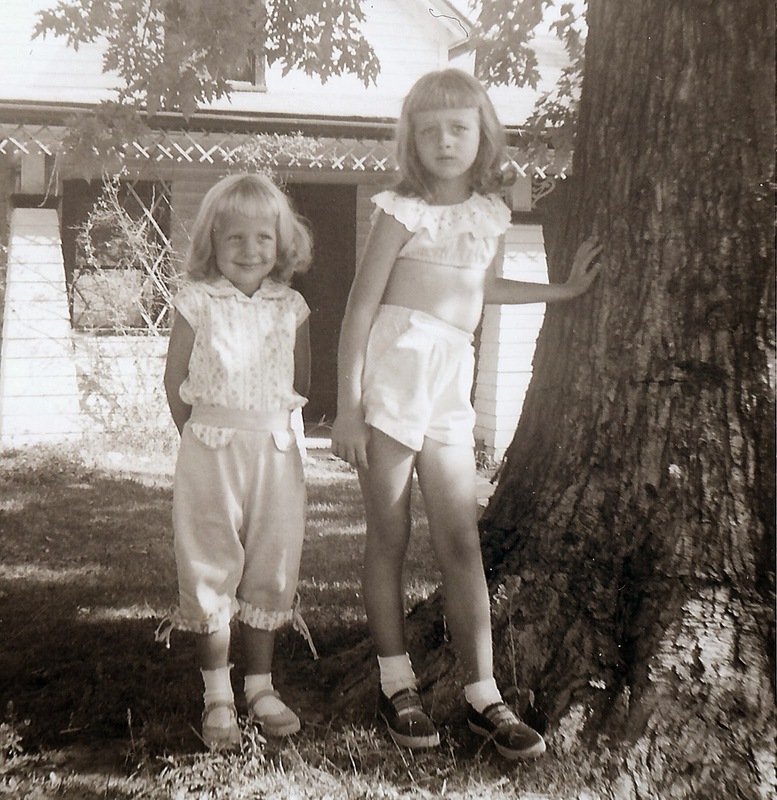 Your pictures of your sister and you remind me of my sister and me, though I was the oldest child. There were 5 years between my sister and me. The older sister side of the story is that we had to go to school all alone for a while before anyone joined us! My three siblings got to stay home together. I have a picture of us in our Easter finery on a post here: http://mainelywrite.blogspot.com/2013/03/easter-finery.html. My sister and I look a bit older than in your pictures. I may not have worried as much about things that were left alone, but I still wondered about dolls coming to life when I was not in the room or when I was asleep. And when I was coloring, I talked to the object in the picture I was coloring, assuring it that it would be real as soon as I finished coloring it! 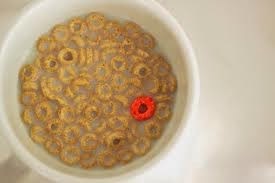 You have a kind heart, I'm sure the Cheerios appreciate your efforts. You crack me up! I love that. My daughter feels that sometimes - it makes sense now. 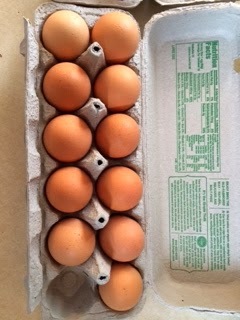 I just laughed when I saw the egg carton! Thanks for that!